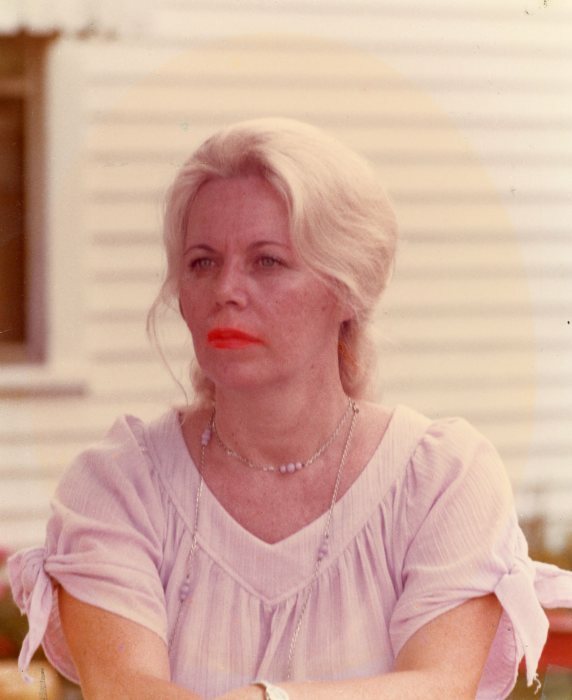 Ms. Jewell Stack Botts went home to her Heavenly Father, April 13, 2019. Jewel grew up on a farm in Oak Ridge, NC, and learned the value of hard work at a young age. These dedicated work ethics were a continuing force though out her life. Her first job was with Blue Bell, Greensboro, NC. Many years later she retired from there., which by then had become Wrangler. After retirement she was able to spend more time doing what she loved, working in her house, yard, and flowers. Jewell endured years of complicated medical problems. Thanks to two special nieces, Lynn Plaster and Daphne Grogan, she remained independent, living at home as long as possible. Afterwards she was compassionately cared for by the staff of Summerstone Health and Rehabilitation Center in Kernersville, NC. Jewell was preceded in death by her husband L.D. Botts, her parents Clifton and Clara Stack, and four brothers, Richard Jim, Howard and Harvey. She is survived by her sister, Ruby Stack Combs, brother Gerald “Jerry” Stack, also a very special friend Ken Carter, and ten nieces, and nephews. A service will be held 3:00 PM, Wednesday, April 17, 2019 at Hayworth-Miller Kernersville Chapel with Pastor Alan Mears and Pastor Steve Roberson officiating. Burial will follow in the Stack Family Cemetery at Union Grove Baptist Church. The family will receive friends from 2:00 – 2:45 PM at the funeral home prior to the service. In lieu of flowers, memorials may be made to charity of donor’s choice.